The handful of cities and counties that have enacted taxes on sugar- sweetened beverages tend to follow a similar path to success, according to a paper by researchers at the Friedman School and Harvard Kennedy School. 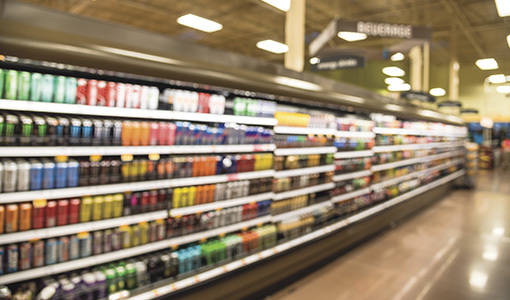 The article, published online in Food Policy, compared 11 sugar-sweetened beverage-tax initiatives introduced since 2012, some successfully signed into law and some not. The initiatives that passed were situated in places with Democratic majorities and had a source of campaign funds to compete with the antitax efforts of Big Soda. They also had a message tailored to the audience: Ballot voters responded best when public health was the stated reason for the tax, while city councils liked to hear that it would generate revenue. Of course, getting a tax passed is one thing. Keeping it passed is another. The soda-tax effort in Cook County, Illinois, a Democratic area, had a revenue promise that appealed to the county council and financial support from Michael Bloomberg, the billionaire former mayor of New York. The law passed, but was repealed just two months later, in part because people were angry that the tax seemed to be really about balancing the budget rather than public health—for example, it taxed even sugar-free sodas. “The public, with opposition campaigns supported by the beverage industry, then rose up against the tax,” said Dariush Mozaffarian, dean of the Friedman School and an author of the viewpoint. There’s plenty of research to back up a public health message. Renata Micha, a research associate professor at the Friedman School and an author of the paper, found that sugar-sweetened beverages are a leading contributor to heart disease, stroke and diabetes deaths among Americans. “Continuing and expanding programs to reduce sugar-sweetened beverage consumption, such as soda taxes, is a vital step toward improving population health,” she said. The authors see fertile ground for the future. With Democratic mayors leading 73 of the 100 largest cities in the country in 2016, the authors said it’s likely we’ll be seeing more soda taxes making their way to ballots.